How does Bill of Lading work in DP (DAP) payment terms of exports and imports? I have discussed in detail about the terms of payment in another article in same website. You may go through the same to have a clear idea about DP term of payment. Here, let us discuss the role of Bill of Lading under DP terms of payment in a sea shipment of export and import. How does a Bill of Lading work in a payment term Documents against Payments – DP? Bill of Lading plays a vital role in ‘Documents against Payments’ DAP – DP - terms of payment, compared to other terms of payment other than Letter of Credit. As you know, without presentation of original bill of lading with carrier of goods at port of destination the goods can not be released, unless otherwise Original bill of lading surrendered at load port or Seaway bill is issued in lieu of original bill of lading? 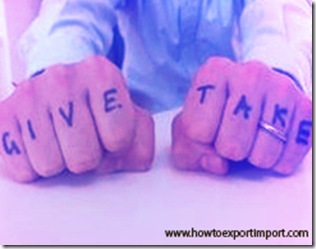 Can Bill of lading be surrendered under DP payment terms in Exports and Imports? Under Documents against Payment term of payment, Original bill of lading can not be surrendered. Because, the payment against sale of goods are paid on the basis of acceptance of original bill of lading with other shipping documents required to take delivery of goods. So under a DP terms of payment in international trade, surrender of original bill lading should not be affected by seller – exporter – of goods, as original bill of lading is a hold with exporter to get his sale amount. Normally once after releasing Bill of Lading at port of loading by carrier of goods, the exporter submits original bill of lading with other required shipping documents with his bank to deliver to his overseas buyer for import customs clearance and other reference. 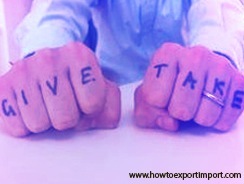 Once after receiving the necessary documents from the exporter, his dealer bank sends the said documents to overseas buyer’s bank after necessary noting and endorsement. Overseas buyer’s bank receives documents and notifies buyer to accept goods as per the terms and conditions of payment agreed with supplier each other. The overseas buyer accepts documents, by paying export proceeds as per purchase order against pertaining shipment and collect original bill of lading and other required shipping documents for import to take delivery of goods. Have you satisfied with this article about the importance of original bill of lading in DP terms of payment in exports and imports? Would you like to share your experience in handling bill of lading under Documents against Payment? Any difference between DP and DAP terms of payment? Comment below your thought on Documents against Payment. Maini: On 14 February 2015 Read your site about import and export clarifications. The contents of the site are excellent and nothing is left unclarified whether it is customs, bank, international biz. But there is a question, pls clarify me in case of exports: 1.Whether a single BL can be issued against multiple invoices. 2. Any reference about the invoice no., shipping bill is required on the face of BL. AKSEEM: On 15 November 2018 Good article. one question arises. What happens in the cituation, if the customer failed to pay in time (due to unforeseen circumstances), the seller protected in any way, unlike LC..